RAPAPORT PRESS RELEASE, November 6, 2018, New York… Polished-diamond prices softened in October as inventory levels rose ahead of the Diwali festival. Despite the decline, sentiment improved, with expectations growing for the US holiday season. The RapNet Diamond Index (RAPI™) for 1-carat diamonds fell 0.9% in October. The index was up 1.3% since the beginning of the year and 0.7% from a year ago, following strong gains in the first half of 2018. 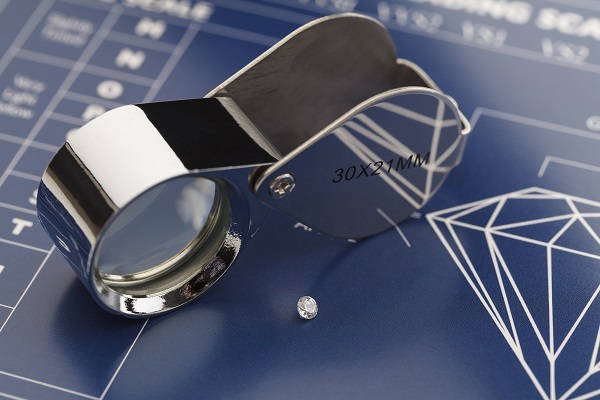 Diamond trading was steady during the month, with US holiday orders driving sales. Buyers were looking for bargains in India, where local dealers and manufacturers have been under pressure due to the weak rupee — down 13% since January 1 — and tighter bank lending. Factories have closed for most of November for Diwali. About the Rapaport RapNet Diamond Index (RAPI™): The RAPI is the average asking price in hundred $/ct. of the 10% best-priced diamonds, for each of the top 25 quality round diamonds (D-H, IF-VS2, GIA-graded, RapSpec-A3 and better) offered for sale on RapNet® – The Diamond Market. www.RapNet.com has daily listings of approximately 1.6 million diamonds valued at approximately $7.4 billion. Additional information is available at www.diamonds.net. About the Rapaport Group: The Rapaport Group is an international network of companies providing added-value services that support the development of ethical, transparent, competitive and efficient diamond and jewelry markets. Established in 1976, the Group has more than 20,000 clients in over 121 countries. Group activities include Rapaport Information Services, providing the Rapaport benchmark Price List for diamonds, as well as research, analysis and news; RapNet – the world’s largest diamond trading network, with over 15,000 members in 97 countries and daily listings of approximately 1.6 million diamonds valued at approximately $7.4 billion; Rapaport Laboratory Services, providing GIA and Rapaport gemological services in India, Israel and Belgium; and Rapaport Trading and Auction Services, the world’s largest recycler of diamonds, selling over 500,000 carats of diamonds a year. Additional information is available at www.diamonds.net.